Really enjoyed my stay at this hotel. Loved the fresh chocolate chip cookies at the front desk. The fitness room is adequate. 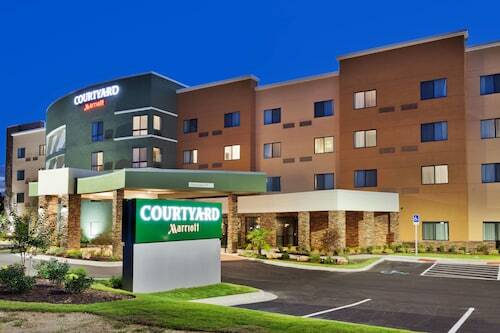 The hotel has easy access to I85 and very close to Auburn. Seemed to be a newer property. Modern and close to shopping and interstate. Thank you for a pleasant stay...everything was perfect. We were in town for our son’s graduation from Auburn. So you're kicking around the idea of a vacation to Opelika? If you want a place to lay your head that's located close to Opelika attractions, use Orbitz to pick your travel dates, and then presto! Look through the list of hotels and other accommodations to find those that are near everything you want to see and do. We make it easy to find a convenient flight into Columbus, GA (CSG-Columbus Metropolitan), which is 27.1 mi (43.6 km) from the heart of the city. Find the ideal flight in nothing flat by using the filters on our site to narrow down your search. Take a dip when you stay at one of these Opelika properties, noted for their pools. What's the Weather Like in Opelika?